At last the long-overdue accolades are coming in for Moseley-based composer John Joubert, who celebrates his 90th birthday on Monday. The SOMM recording of the professional concert-performance premiere of his opera Jane Eyre (see right) has received universal acclaim, as has the same label’s release of some of the composer’s choral music performed by the Birmingham Conservatoire Chamber Choir directed by Paul Spicer, headed by Joubert’s Thomas Hardy cycle, South of the Line. 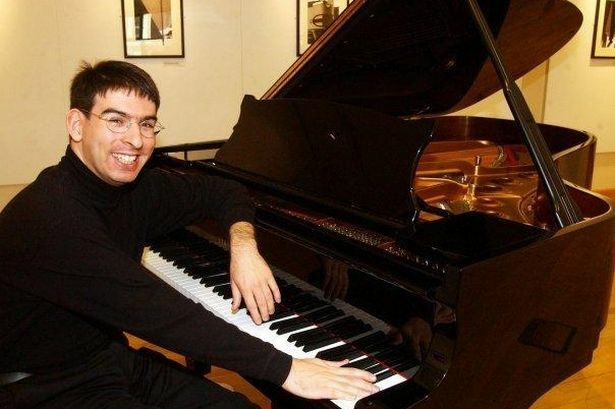 And tomorrow (Friday) the Birmingham and Midland Institute hosts a recital of the composer’s complete music for solo piano, given by Duncan Honeybourne, a doughty champion of British piano music. “I’ve always been addicted to British music, and to exploring the byways of the repertoire,” Duncan explains. “This was something I came to very early on, and I’m fortunate to have been able to channel it into part of my career. “Allied to this, when I was at the Junior Royal Academy of Music my teacher really developed in me a curiosity in the composers of our own time. There was a sense of responsibility there to one’s contemporaries, and a deep interest in exploring the music being written here and now. So when I came to Birmingham to study full-time at the Conservatoire, it seemed natural to investigate the composers, past and present, who had lived and worked here. “I’d known John Joubert’s name for as long as I can remember, as he’s so very much part of the canon, of course. I had always liked what I’d heard and admired his very personal lyrical and dramatic language. I can’t pinpoint whether I’d heard any of his piano music at that stage, but I wanted to get to know it, and to play it to him. “I rang him up one day, we had a long chat, and then John kindly sent me his Lyric Fantasy, newly composed, on themes from the opera Jane Eyre. At this stage it was unpublished and had only received one performance, so John asked me if I’d like to play it. I gave several performances at that time including, I believe, the first London and Birmingham performances. Duncan goes on to tell me more about his relationship with the composer. “We found lots to talk about, right from that first telephone conversation, and I went on to have some very stimulating sessions at John and Mary’s home in Moseley, working with John on his piano sonatas and discussing every topic under the sun! “I’ve always found John a fascinating conversationalist. Not only does he have a phenomenal musical brain and an encyclopaedic knowledge of repertoire, but – because, if he will forgive me saying so, he has been around so long, at the forefront of British musical life – and he has a unique richness of experience to convey. “He shares his insights generously, humbly and humorously, and they don’t by any means focus exclusively on music. John is also, of course, a gifted painter, a devotee of literature (amply reflected in his musical output) and a sensitive and perceptive deep-thinker whose thoughts are often gently expressed but represent a lifetime of thought, observation and quiet consideration. “I’ve also been so interested over the years to hear about John’s early years in South Africa and the cultural environment in which he grew up there, and his observations and reflections on that, on the years since, and on the world today and in the future. “Anyway, we became friends, I went on to play the first two sonatas quite a lot and, after I moved to teach down in Dorset, I invited John and Mary down a couple of times. I run a lunchtime concert series in Weymouth, and on one occasion I played the First Sonata and Lyric Fantasy there, with John introducing the works to the audience. That was a very special concert, of course, and we’ve done similar things in other places, too. Duncan is looking forward very much to performing all Joubert’s solo piano music in a single sitting. Duncan has a fascinating family history. He was born in Weymouth, to where he has now returned, but during his time at Birmingham Conservatoire his family home was in Droitwich. “But my mother and her family were all from Birmingham, and I have strong roots in the Midlands, so I do think of myself as having dual Dorset and Midland nationality! Walking the streets of Birmingham with my grandparents was a history lesson in itself, and I always say that I wouldn’t be here if it were not for one of the most famous Midland breweries! “My great-great grandmother was a girl from the back-to-back terraces of Deritend, who ended up becoming the live-in cook to Henry Mitchell, founder of Mitchell’s and Butlers, at his big house on Cape Hill in the 1870s. There she met her husband, who had come from rural Worcestershire to work at the brewery. “Local resonances run deep and, when I premiered the Andrew Downes Concerto at the newly-reopened Birmingham Town Hall, I felt a great sense of history and pride in the place, and I was mindful that it was to the same building that my great-uncle had come to enlist in 1914 at the beginning of the Great War. He was sent to Ypres and killed at the age of 23. And here I have to declare an interest: John Joubert was my tutor at the University of Birmingham in the late 1960s, and Duncan Honeybourne was a student of mine at Birmingham Conservatoire. Now Duncan is a passionate advocate of Joubert’s piano music. The wheel has turned full circle. * Duncan Honeybourne performs the complete piano music of John Joubert at the Birmingham and Midland Institute, Margaret Street, on March 24 (7.30pm).